Usually we take road names and numbers for granted, but have you ever wondered how roads are named and who decides on the house numbers in a neighborhood? Well, like everything, there is a system. the Dundalk neighborhood known as “the Ships” with nautical street names like Bayship Road, Sunship Road, Broadship Road and Township Road? Aero Acres in Essex, one of the oldest planned developments in the country, whose streets were named with an aerospace flair, including Fuselage Avenue, Hydroplane Drive, Propeller Drive and Helicopter Drive? the Stevenswood neighborhood in Windsor Mill where the developer named streets after his children, including Lauri Road, and Janvale Road? The maximum number of characters is 17, so that the name can fit on a standard street sign. Just like with Twitter, this includes spaces and abbreviations. Road names need to avoid duplication to prevent confusion. There are already about a half-dozen Church Roads and Church Lanes in the County, and about eight Ridge Roads. We don’t need any more! No hyphens or apostrophes are allowed because they are too prone to typing errors in the age of computers. We don’t allow directional terms, like East, West, North or South as new street names. The Post Office and the 911 Center have to approve new roads and addresses and enter them into their systems. Have you ever wondered about the difference between a road, lane, boulevard or avenue? Avenues, roads, streets, and drives tend to have many access points and cover long distances. Courts and ways have only one exit or entrance. Circles are roads that turn back on themselves. Who decides what address number goes with what building? That falls to the County as well. Back in the early days of Baltimore City, engineers designated the intersection of Charles Street and Baltimore Street as the epicenter for street numbering. All of the address numbers increase moving away from this center point going in all four directions. So, the numbers get bigger heading north on N. Charles Street and also increase heading south on S. Charles Street, east on E. Baltimore Street and west on W. Baltimore Street. We use that system as a guide in the County. Likewise, York Road splits east and west, and Reisterstown Road does the same on the west side. Street numbering is sort of a fun process, a bit like a Sudoku puzzle, where we have to be careful not to duplicate addresses. Like anything, it’s not a perfect system, but it gives us something to go on. You have probably noticed that one side of most streets has even numbers and the other side has odd numbers. Did you know that the north and west sides of roads have even numbers and the south and east sides of roads have odd numbers? See for yourself next time you are out and about. 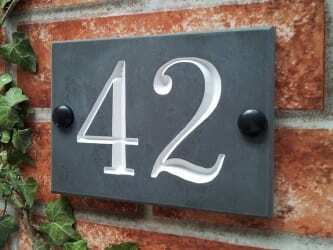 Have you ever wondered why, in a sequence of houses, you sometimes see skipping in the house numbers? For example, you see 100, 102, 104, and then 108. Or, an address might be split into 702a and 702b. If it appears that a property is large enough for subdivision, we will give some breathing room and skip a couple of numbers intentionally. We strongly recommend that you post your street number in a visible way on your house and on your mailbox so that emergency responders can find you easily. This also helps to avoid mail delivery mix-ups and confused visitors.